In the decade that has elapsed since the original Mazda CX-9 debuted for the 2007 model year, the automaker separated from Ford Motor Company and reinvented itself as a small but scrappy automaker specializing in rakish styling, delightful driving dynamics, and a minimalistic approach to vehicle engineering. Starting with the 2013 model year, Mazda began replacing all of its products with new or redesigned models, a process that culminated with the late debut of the redesigned 2016 CX-9. A 7-passenger midsize crossover SUV, the new Mazda CX-9 completes Mazda's transformation from what it was yesterday to what it is today and what it will be in the future. The new CX-9 comes in Sport, Touring, Grand Touring, and Signature trim levels, each equipped with a turbocharged 4-cylinder engine and offered with available all-wheel drive. For this review, our expert evaluated the new luxury-themed trim level, the Mazda CX-9 Signature without any options because everything comes standard. The price came to $44,915, including the $900 destination charge. Before we discuss the results of our evaluation of the new 2016 CX-9, it is helpful to understand who bought the previous version of this model and what they liked most and least about their Mazda SUV. Compared with Midsize SUV segment averages, more men purchase the Mazda CX-9 (57% vs. 63%, respectively), and buyers' median annual household income is also higher ($109,901 vs. $113,362). Mazda CX-9 buyers are also slightly younger than average (53 years of age vs. 54, respectively). 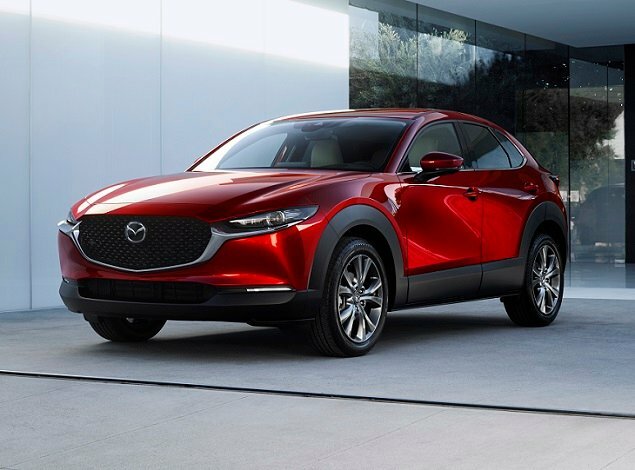 In alignment with Mazda's "Driving Matters" brand image, 30% of CX-9 buyers identify themselves as performance buyers, compared with 16% of all Midsize SUV buyers. Therefore, it is not surprising to find that 96% of CX-9 buyers agree that they like a vehicle that offers responsive handling and powerful acceleration, compared with 90% of buyers in the segment. In most other respects, CX-9 buyers express sentiments about vehicle ownership that is aligned with Midsize SUV buyers. Exceptions are that just 48% agree that their first consideration in choosing a vehicle is miles per gallon (compared with 61%); 40% agree they are willing to pay more for a vehicle that is environmentally friendly (compared with 53%); and 68% disagree they prefer to buy from a U.S. company (compared with 41%). Buyers say that their favorite things about the CX-9 are (in descending order) the exterior styling, driving dynamics, visibility and safety, engine/transmission, and interior design. Buyers indicate their least favorite things about the CX-9 are (in descending order) fuel economy (by a very wide margin), the infotainment system, climate system, storage and space, and the seats. Mazda has done an excellent job of defining itself through design, and the new CX-9 is the latest in a string of hits from the company. 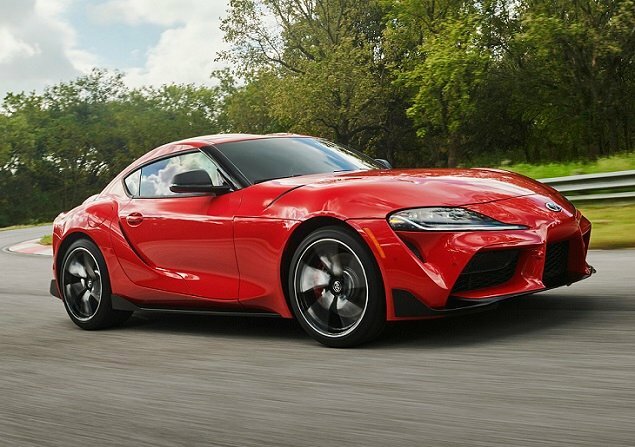 Especially in Grand Touring and Signature trim levels, which include standard 20-in. aluminum wheels, this is an attractive crossover vehicle that swaps rugged styling cues for a more upscale and tailored appearance. If the CX-9's exterior styling is artfully rendered, the interior is a masterpiece of design and detail. The quality of the materials used for the lower half of the cabin leaves something to be desired, but considering that a loaded CX-9 Signature costs less than $45,000, this is to be expected. Auburn-colored premium Nappa leather trim is exclusive to the Signature trim level, as well as genuine Japanese rosewood trim. Otherwise, the Signature is essentially similar to the CX-9 Grand Touring. Instrumentation is a model of clarity, perfect for quick reference, and the climate controls, power window, power door lock, and power mirror controls are located right where you would expect to find them. Most everything else is bundled into the Mazda Connect infotainment system, which can be operated in four different ways: touch, center console controls, steering wheel controls, and voice commands. Except for the cramped third-row seat, adults will be comfortable in the Mazda CX-9's front chairs and on the second-row bench seat. The problem is that the front seats lack a proper range of adjustment. As a result, the driver has a hard time finding a perfect driving position, a clear oversight given Mazda's focus on the driver and their enjoyment while sitting behind the steering wheel. Mazda does not offer front-seat ventilation for the new CX-9. This omission, combined with a climate control system that struggles to cool the cabin on hot and humid days, contributes to complaints about comfort. The triple-zone system takes rear-seat occupants into consideration, and it does include a pollen filter, but these are minor consolations given the length of time it takes to cool the SUV's hot interior. Heated front seats and side mirrors help take the chill out of a winter's day, but Mazda does not offer a heated steering wheel for the CX-9. Mazda Connect takes some getting used to, but once you acclimate to its quirks and requirements it becomes second nature, if not quite aggravation-free. Remember two things: First, the display screen is touch-sensitive only when the CX-9 is not moving. Second, you can make adjustments to the system's deeper settings only when the CX-9 is not moving. You see, Mazda does not want to contribute to driver distraction, so it defeats those aspects of Mazda Connect that could prove distracting. While driving, you can issue voice commands, use the steering wheel controls, and use the center Commander knob and its surrounding menu short-cut buttons to control top-level features and functions. If you're seeking a rear-seat entertainment system for the kids, or perhaps smartphone-projection technology in the form of Apple CarPlay or Android Auto, you won't find either within the new CX-9. Though Mazda calls the new CX-9 a midsize crossover SUV, it carries less cargo than most of its competitors. If you need to use the 3rd-row seat for passengers, you're going to give up almost all of the useful cargo space. Keep that rearmost seat folded down and the Mazda provides seating for 5 people plus 38.2 cu. ft. of space. This is a relatively competitive amount of space. Maximum cargo space with the second-row seat folded down measures 71.2 cu. ft. That's less than a Subaru Forester or a Toyota RAV4. In the passenger compartment, Mazda supplies a decent amount of storage for front- and second-row occupants. The center console storage box has a clamshell-style lid with a center seam, and if you lean too heavily upon it you'll feel it give and even crack as the plastic resists your weight. Because the front seating position is low, even with the seat raised, it is harder for the driver to understand the CX-9's position when maneuvering the SUV. Large side mirrors, a reversing camera, and a blind-spot warning system with rear cross-traffic alert certainly help with respect to visibility, and Mazda's head-up display is an excellent reference. Mazda offers a long list of driving-assistance and collision-avoidance technologies for the CX-9 and supplies a variety of settings that control how sensitive the systems are and how adamantly they warn the driver. 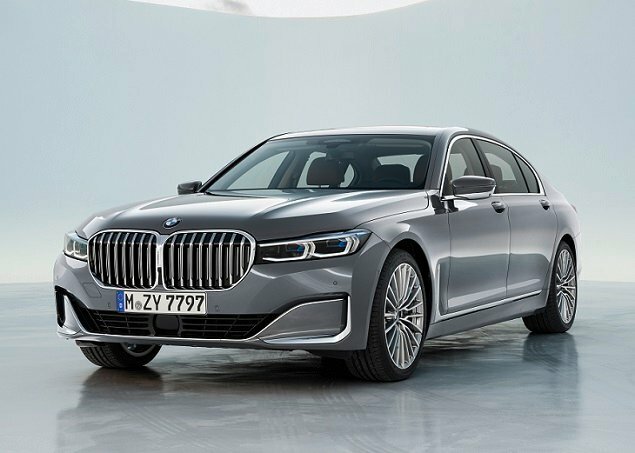 Beginning the test with all systems adjusted to their normal settings, it did not take long to realize that both the forward-collision warning and automatic emergency braking systems needed to be changed to their least-sensitive levels. Once that change was made, the CX-9's technologies largely operated in subtle and unobtrusive fashion. The adaptive cruise control system in a specific driving situation where it had slowed the CX-9 for a sharper turn on a coastal highway and then accelerated out of the curve failed to identify a white car merging into the Mazda's lane as the highway went from two northbound travel lanes to one. This forced the driver to manually engage the brakes to avoid a collision that would have put the CX-9's front right corner into the left rear corner of the car ahead. As this review was published, the CX-9 had not undergone crash testing by the National Highway Traffic Safety Administration (NHTSA) federal government or by the Insurance Institute for Highway Safety (IIHS). To greatly reduce the potential for turbo lag to ruin the Mazda CX-9 driving experience, the automaker developed what it calls a Dynamic Pressure Turbo system that delivers quicker acceleration response at low engine speeds. The approach works, and the Mazda CX-9 feels spry and energetic when driving around town. By installing a turbocharger, Mazda's 2.5-liter SkyActiv 4-cylinder engine generates 250 horsepower at 5,000 rpm and 310 lb.-ft. of torque at 2,000 rpm (227 horsepower when using regular gas). The engine provides quick acceleration, but as vehicle speeds climb and the torque fades, the CX-9 feels decidedly less energetic. A 6-speed automatic transmission powers the SUV's front wheels. A predictive all-wheel-drive system is optional for Sport, Touring, and Grand Touring versions, and is standard for the CX-9 Signature. It will send up to half of engine output to the CX-9's rear wheels. A sport driving mode proves too aggressive except when driving for pleasure rather than purpose, and a manual shift gate is counterintuitively mapped, creating driver distraction as they try to remember whether moving the gear selector forward or back will produce an upshift or a downshift. Paddle shifters are not offered for the CX-9. Recognizing that turbocharged engines tend to consume more gas than is expected because engineers often use extra fuel in order to control heat, Mazda employs a cooled exhaust gas-recirculation system for the CX-9's turbocharged 4-cylinder engine. The intent here is to help the CX-9 meet EPA fuel-economy estimates. Unfortunately, it appears that this effort is unsuccessful. The Mazda CX-9 Signature should return 23 mpg in combined driving, according to the EPA. On the official test loop, the test CX-9 averaged 20 mpg. Where the Mazda CX-9 excels, in addition to its styling and design, is in its driving dynamics. For a midsize SUV, this Mazda dances across the pavement with uncanny grace and composure. Driven under the circumstances experienced by most people most of the time, the CX-9 effortlessly steers, handles, and brakes, behaving exactly as you wish. It soaks up broken pavement even while clearly communicating road texture, and proves solid and stable when driving at greater speeds on highways. Should you elect to drive with greater enthusiasm, the CX-9 is a willing partner in crime. Crisp, precise steering helps the driver place the vehicle exactly where they want it, and the suspension shrugs off bumps and dips while remaining true and steadfast to the driver's directions. Occasionally, depending on the road surface, the CX-9 can feel decidedly taut and athletic, and Mazda has engineered the seat cushions to faithfully deliver a filtered amount of feedback from the road. Nevertheless, it is the CX-9's ride and handling characteristics that are most likely to keep the smile plastered on your face. Mazda can easily resolve the new CX-9's shortcomings. A greater range of seat adjustments combined with seat ventilation would go a long way toward making this Mazda more comfortable, especially given how hard the climate control system needs to work on hot days. Also, an expansion of infotainment features would clearly bring the CX-9 up to date with the best models in its segment. Beyond these opportunities for improvement, Mazda could attempt to enhance fuel efficiency in some way, but based on J.D. Power data, owners trading up from the old CX-9 to the new one are already expecting to be unhappy with their gas mileage. Importantly, Mazda preserves what CX-9 owners like most about their first-generation versions of the SUV. It looks terrific; the turbocharged 4-cylinder engine makes plenty of torque for lively acceleration; and the driving dynamics are among the best in the Midsize SUV segment. Mazda improves on safety, too, and while official crash-test results are forthcoming, the company no doubt engineered the new CX-9 to perform better than the old one. Overall, Mazda has built a good SUV that has the potential to be a great one. Mazda North American Operations supplied the vehicle used for this 2016 Mazda CX-9 review.